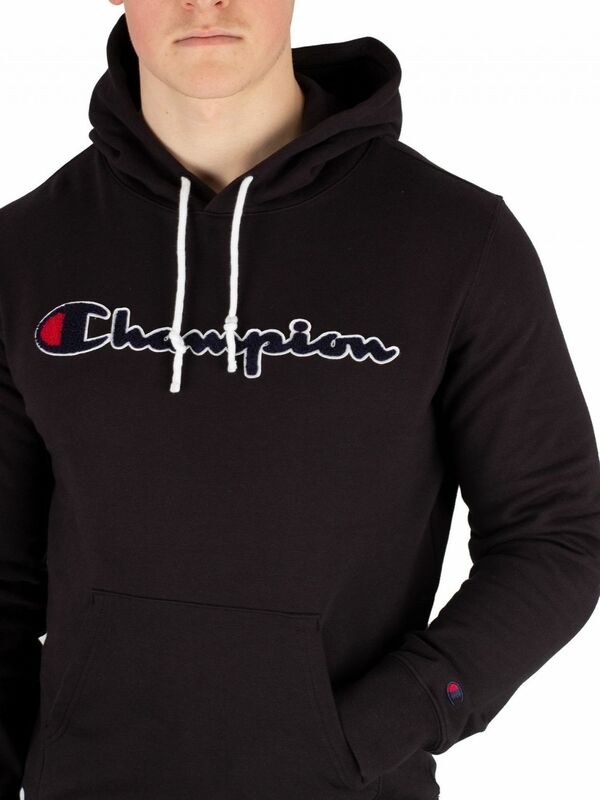 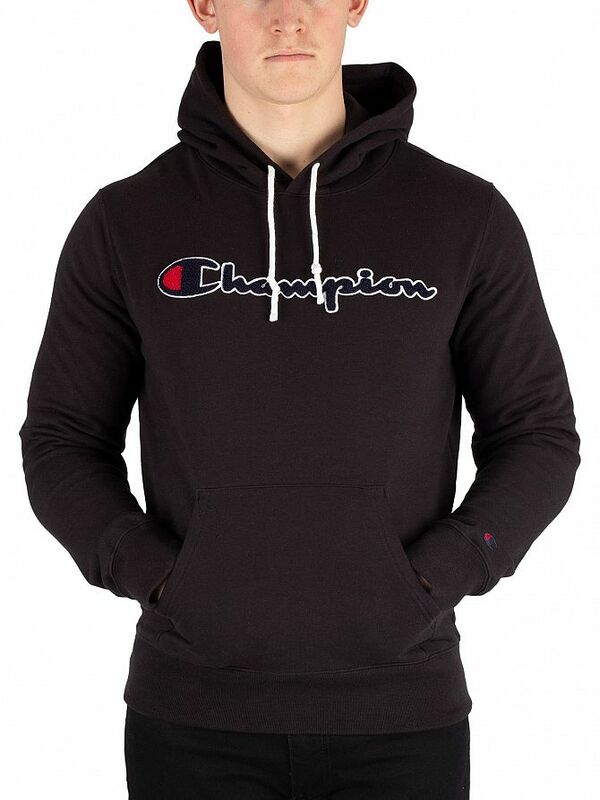 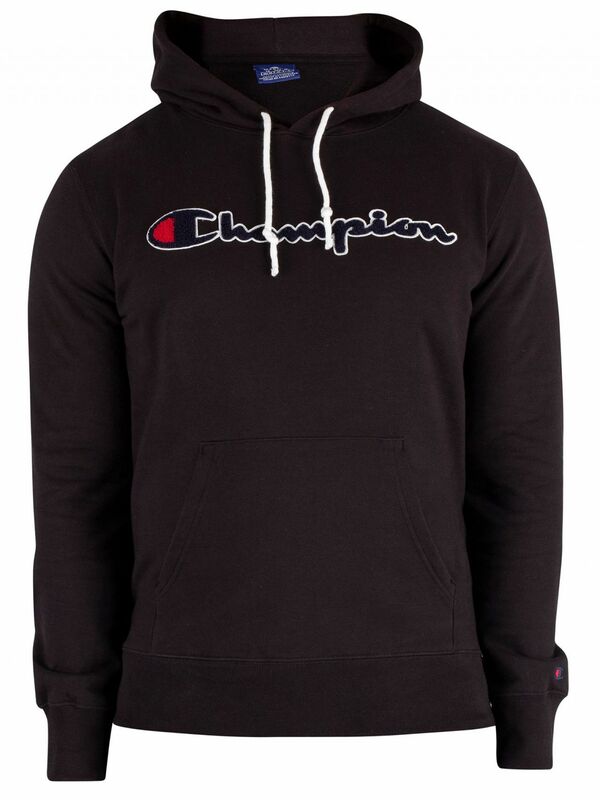 The Graphic Pullover Hoodie from Champion comes with open pocket, featuring a textured logo stitched on front. 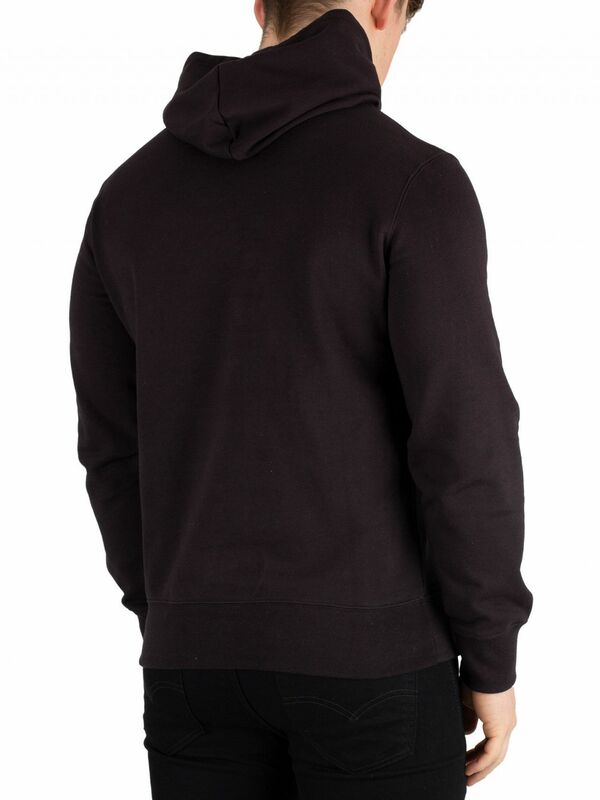 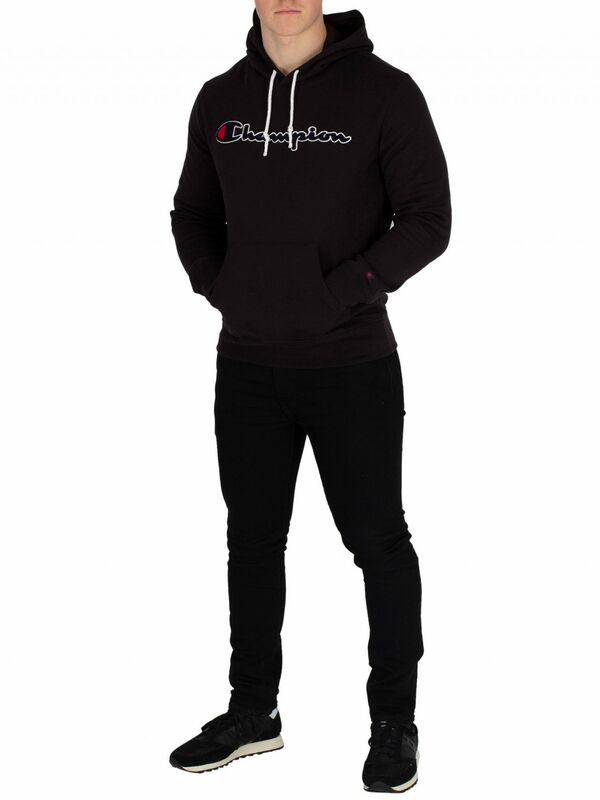 Along with an embroidered logo above left cuff, this comfort fit hoodie also features elasticated cuffs and hem. 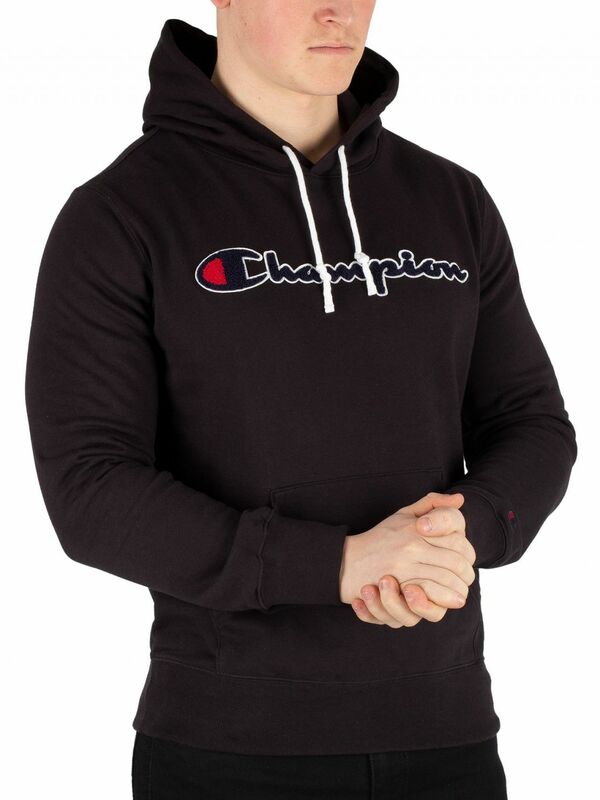 Comings in Black colour, this hoodie for men sports a drawstring hood and full sleeves.